Texas Legislators: Hard At Work - Or Waiting Abbott Out? 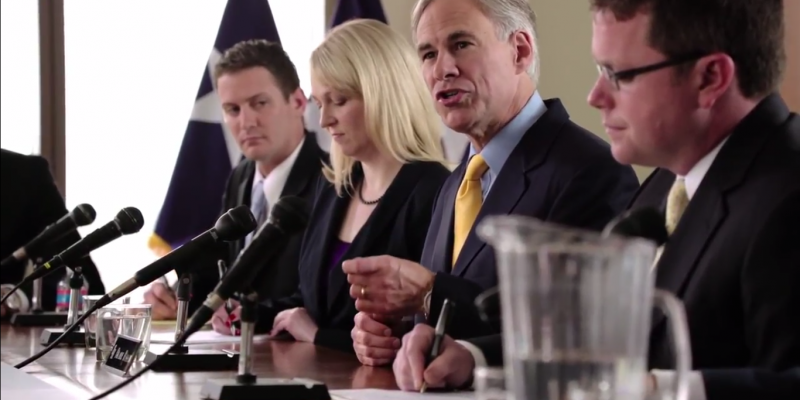 Texas Legislators: Hard At Work – Or Waiting Abbott Out? Texas House committees scheduled hearings this week to hear legislation relating to the special session call, but some bills that have been filed to address items on the call are struggling to get a hearing. Rep. Tony Tinderholt took to the floor Tuesday to inquire of the Speaker about moving legislation to end payroll deductions for government union dues, an item on Governor Abbott’s special session call. Tinderholt noted with frustration that the same bill was stalled in the regular session in the State Affairs committee and that he was hoping to have the bill reassigned to another committee so that it could be brought to the floor for a vote. Speaker Straus refused to hear the motion. HB 161 – Relating to the authority of a county to end a low-income vehicle repair assistance, retrofit, and accelerated vehicle retirement program in the county. HB 276 – Relating to an assessment of the safety and regulation of municipal solid waste facilities. HB 205 – Relating to a review of the motor vehicle emissions inspection and maintenance program to vehicles of certain model years. Meanwhile, the Natural Resources committee agenda states that they are hearing eight bills, none of which appear to be on the call, or relate to any items currently on the call. With a limited amount of time to address the twenty issues already making up the call, committee chairs in Austin seem to be on track to address very few of the items on Abbott’s list. By scheduling hearings on bills they cannot actually address, and refusing to set hearings on bills that are germane to the call of the special session, House leadership is broadcasting a desire to wait out the governor and the authors of the bills, and bet on Abbott refusing to call them back a second time.